All assets of a firm, which are tangible or intangible, full under the category “Real Account”. 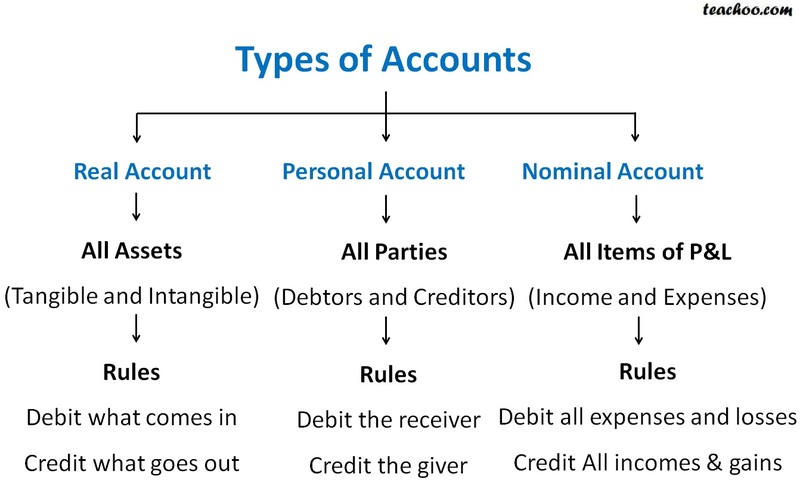 These are accounts are related to individual, firms, companies etc. A few example of personal accounts included debtors, creditors, banks, Outstanding & Prepaid Accounts.